The name of the stall is Fish Porridge but you really should have the Fried Rice with diced shrimp here. Ah Jie’s late husband used to be a hero in Hatyai, his shop was on the main road when I was a small kid. People would crowd around his wok waiting for their food while he works his magic. If he is still around, I am sure his shop would still deservedly be the most crowded shop in Hatyai at dinnertime. According to Obi-Wan Kenobi, Ah Jie inherited The Force from him making her one of the last remaining Jedi Masters in Hatyai. Each grain of the fried rice is adequately fried almost to the point of being burnt yet maintaining its moisture. 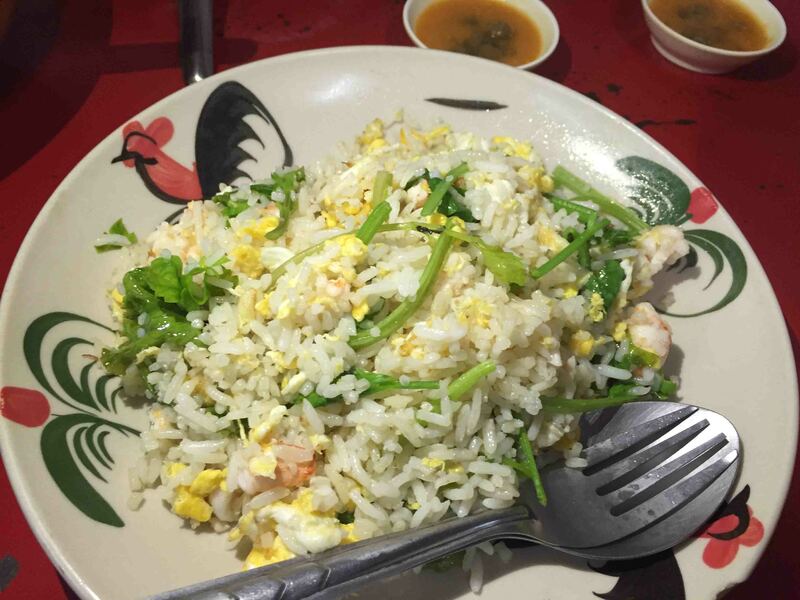 In every mouthful, you would know that the rice is drenched in essence of the eggs. The taste of the shrimps is faint yet present due to the juices of the duly diced up shrimps spread out evenly over the fried rice. The occasional crunch of the celery gives your mouth a relief from the rich and full bodied fried rice. The other dish you should order to go with the fried rice is the Tom Yam Naam Saai Nuer Plaa or Clear Tom Yam with Sliced Fish meat. You would have to order specifically as it is. 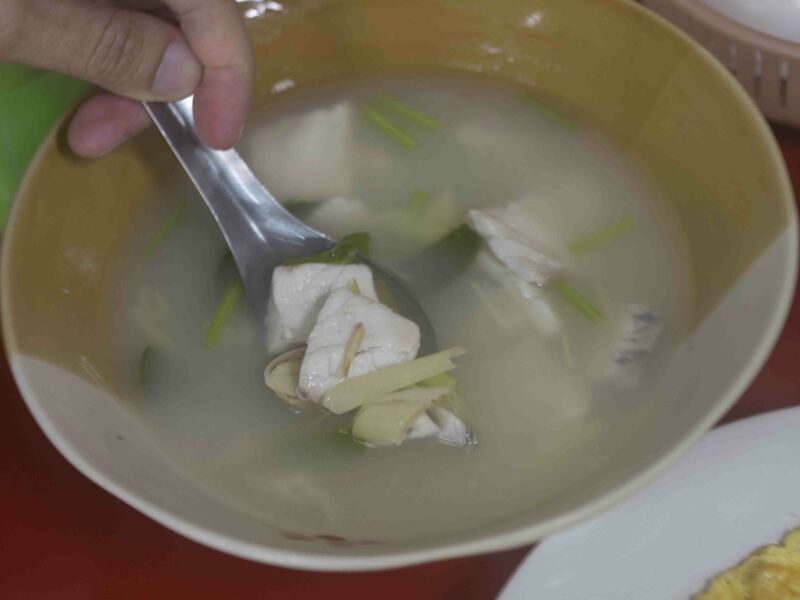 The Naam Saai part means that it is the clear soup version of Tom Yum without the red chilli sauce. 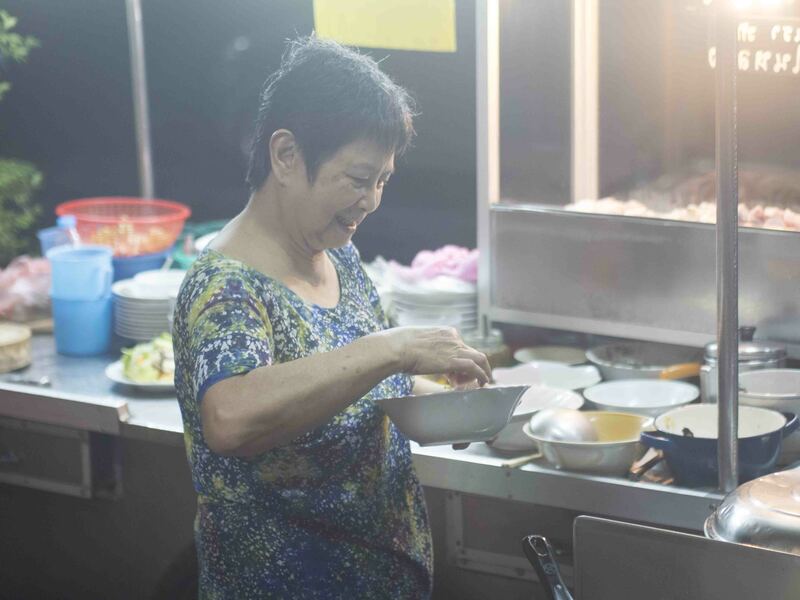 The Nuer Plaa part specifies that it has to be sliced fish meat as Ah Jie’s sliced fish meat is usually fresher than her fish head meat. 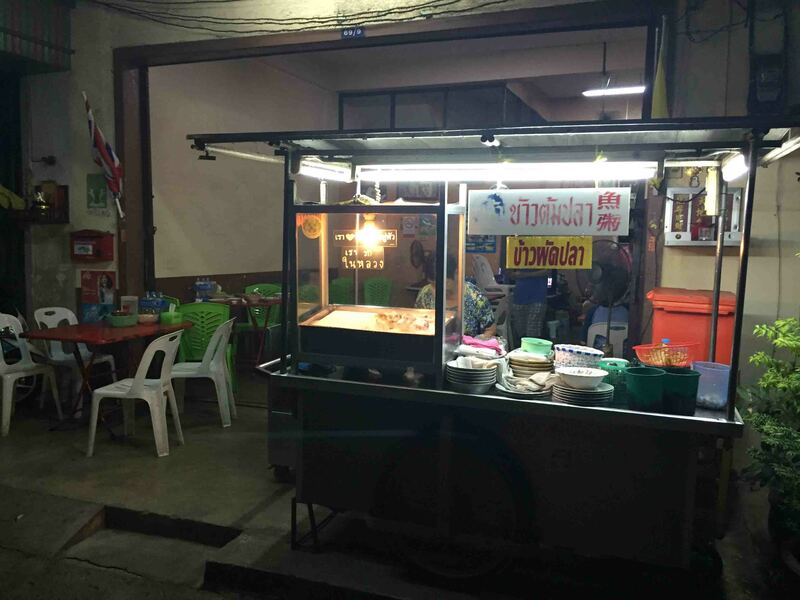 This shop is in a remote dark alley about 150m off the main road from Wat Chuechang; it is off the tourist trail. Be warned that dining at Ah Jie’s is not cheap. A meal for two can easily costs upwards of 500 baht. I can only guess it is Ah Jie’s way of earning her keep while keeping the sane away.